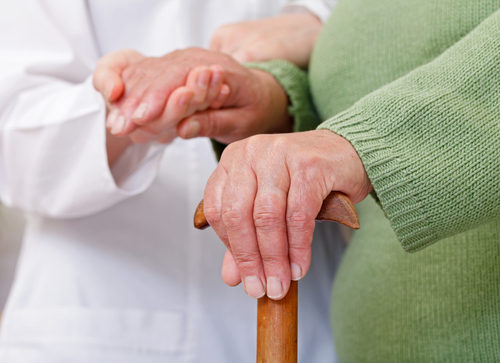 Can Accident Prevention Reduce Hospice Community Liability? Whether your hospice community clients have staff that work primarily in a facility, or at a patient’s home, they are exposed to unique risks every day. Not only do they need to focus on their own safety and well-being, but also that of the patient they are caring for. Accident Prevention could very well play a role in reducing Hospice Community Liability, since a lawsuit could very well come from the family of an elderly or terminally ill patient if they don’t feel they’ve received the appropriate level of attentive palliative care. So, within a facility, what can your clients and their staffs do to ensure patient safety? Below are a few ideas from healthcare facility Barnabas Health in New Jersey. These are just some of the safety measures your clients can take to prevent accidents on the job, and potentially reduce their company’s Hospice Community Liability. Your client’s staff should focus on their own safety as well, following all proper protocols when it comes to assisting patients, lifting them, or administering medication. At Care Providers Hospice Community, we understand that the home healthcare and hospice industry is among the fastest-growing industries in our country. In order to support its continued success, Care Providers offers a broad insurance program exclusively designed to address the unique risks associated with hospice care. Please contact us today at (855) 790-7379 to learn more about our coverages. Could Music Therapy Help Hospice Patients?